FTV is an awesome EPG plugin for UK TV and can link to streams from Filmon. NTV is a great plugin for expats who want to see their UK or Scandinavian TV channels from back home, unfortunately the NTV Kodi plugin doesn’t have the best interface. 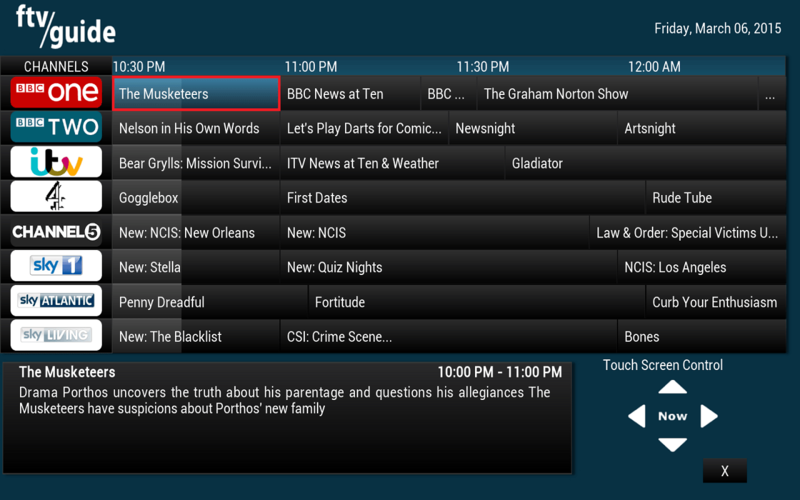 FTV Guide has a beautiful EPG interface giving you a nice overview of shows that is easy to browse. In this guide you will learn to combine the power of FTV Guide and NTV to get a more complete streaming experience. It does take a little bit of time to set up but it is worth it. 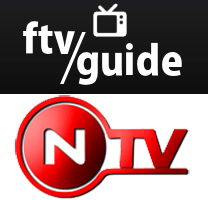 For this guide you will integrate FTV Guide’s beautiful EPG interface with NTV streams. You need an NTV account and have both the NTV plugin and FTV plugin installed for this guide to work. What you are going to do is create a custom addon.ini file that contains the NTV stream links and tell FTV Guide to use this addon.ini file. Then you can map each channel in FTV Guide to the corresponding channel in NTV manually. When you’re done you click the channel in FTV Guide and the NTV stream for that channel will load. Create an empty new document in Notepad (Windows) or TextWrangler (Mac), copy the contents from this text (old) or if you are using the Krogsbell version this text, and paste it in your empty file. Save it as ftvntv.ini, do not save it as ftvntvini.txt in Notepad. In TextWrangler you can use the default encoding options. To use the Touch interface click Appearance and press the down arrow until it says Touch. Click OK.
Click the Addons button at the top, scroll down the list and move your mouse over the channel. You cannot click to select the channel, so as the channel is highlighted in blue carefully move the mouse to the right and downwards towards the Save button avoiding hovering over another channel. Click Save. You have to map each channel you want to link manually like this so you will need a bit of patience and steady hands. If you happen to make a mistake and map the wrong channel, just right-click on the channel again and choose Remove stream. It will be in a similar location on the Raspberry Pi Raspbmc, OSMC, Ubuntu, Android streaming boxes or Apple systems running Kodi XBMC. If you want to reduce the number of channels displayed in FTV Guide see this tutorial.